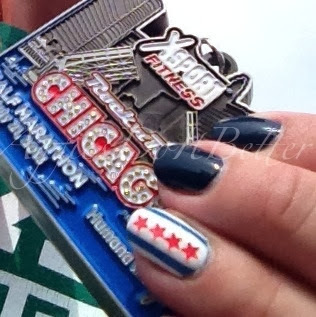 Aggies Do It Better: Chicago Flag Nails plus Rock and Roll Half Marathon Medal! 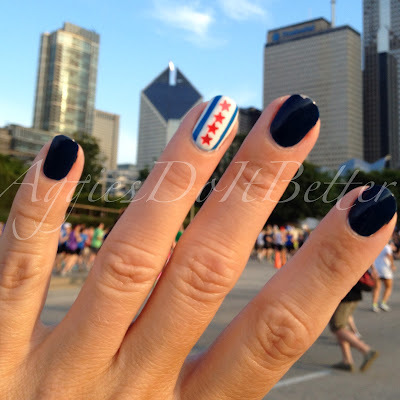 Chicago Flag Nails plus Rock and Roll Half Marathon Medal! Hey guys! 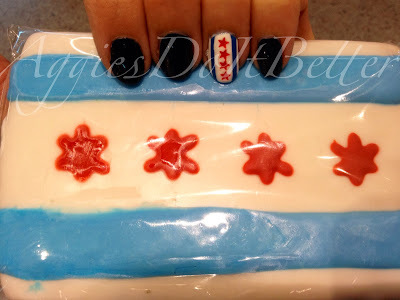 Just updating some old posts! These nails were for the Rock and Roll Half Marathon in Chicago, July 2013. I used OPI I Saw, You Saw, We Saw, Warsaw (longest name ever!) and a variety of others on my flag nail, including the star glitter that Fergie for Wet 'n Wild has out right now (Hollywood Walk of Fame) I grab for it a lot-multi colored star glitters YAYYY. 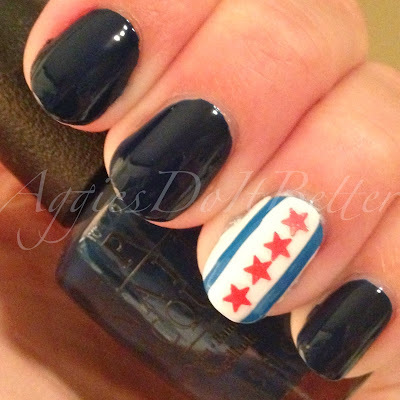 Pardon the poor picture quality.... early times, you know. 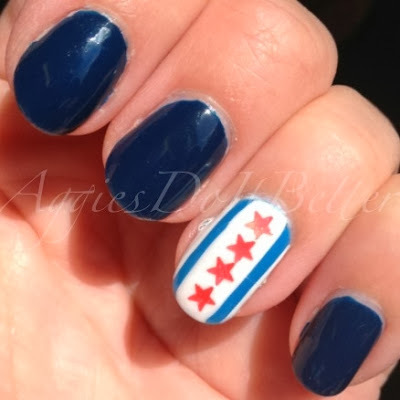 I got a lot of attention over these at the expo!